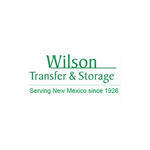 Locally owned Wilson Transfer & Storage has been providing top quality moving assistance to New Mexico since 1926. With four generations of moving experience and built on the philosophy that every customer and every move is the most important one, we can help, whether you are looking for a cross-town move or relocating your entire household across the globe. Professionals! These guys know what they r doing an they do it well. Wilson Transfer & Storage is the most professional and efficient company we have ever hired. My wife and I have moved numerous of times and have never experienced service as great as this. We definitely recommend them in the future. These people are friendly and hard working. They informed me that it is a family business that has been working for years. They got me moved and everything unloaded in a perfect amount of time. I have no complaints here! Review Stream Powered by OMG National | © Copyright 2019. Wilson Transfer & Storage. All Rights Reserved.